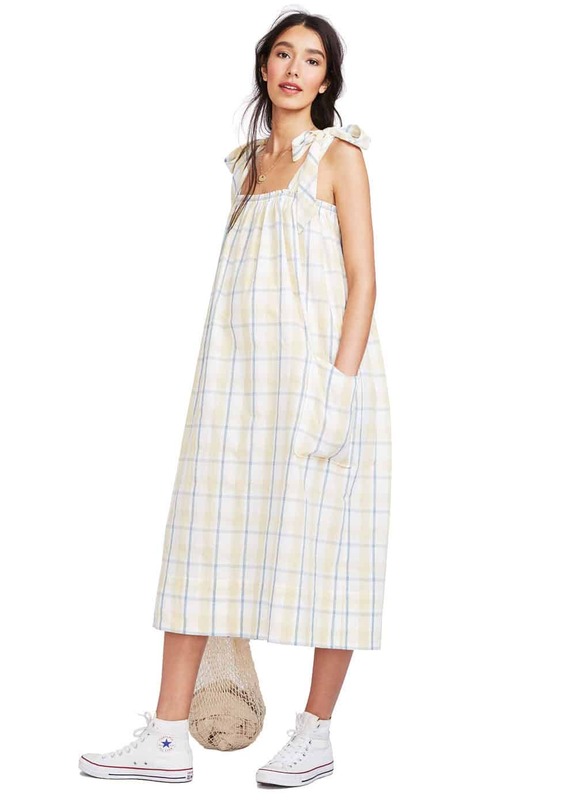 With Hatch, her inspired collection of ready-to-wear for mothers to enjoy before, during, and after pregnancy, East Hampton’s own Ariane Goldman is delighting and empowering women across the globe. How long have you been frequenting the Hamptons? I have a love affair with the Hamptons that started when I was a child. I grew up in the city, and most of my friends’ families had homes out here. We would go to the South of France in the summer, so we never had a second home out east, but I would stay with my friends, and as I got older, my social world became very relevant out here. After graduating college, I rented houses with friends, and eventually, after I met my husband — whom I picked up at the Stephen Talkhouse — we decided to buy our first place together at the beach. It brings so much peace and harmony. What’s the story with your East Hampton house? We have an amazing property in the Northwest Woods that we nicknamed Shangri-La, as it feels like a Japanese garden. It has three ponds with koi fish, we have a tree house… the property just makes us sing. It makes you feel like you’re completely far away, but we’re 12 minutes from the beach. The best part about being in the woods is that it actually stays green all year. In the fall and winter, when the fireplace is going, you feel like you’re upstate, so we kind of get that vibe, too. It’s the best of both worlds. 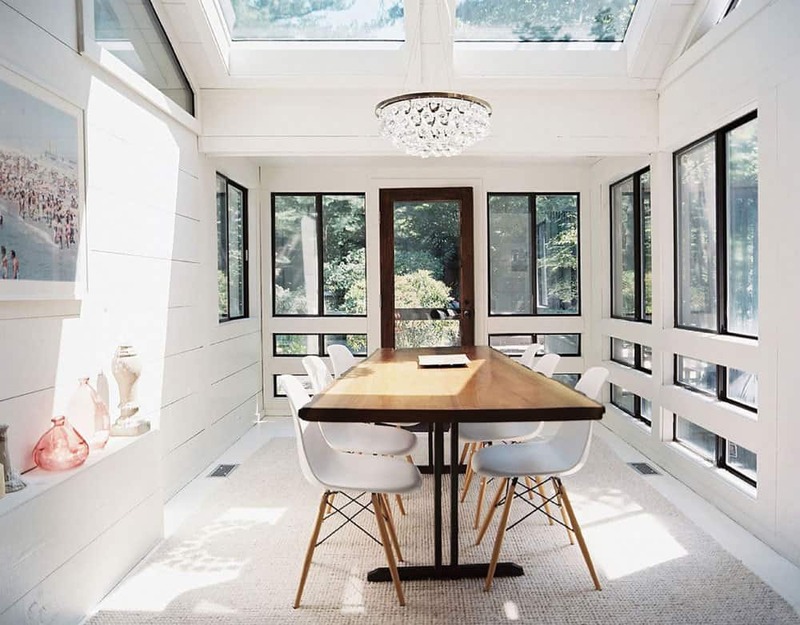 We were looking for something with soul and good bones — nothing that was too turnkey. There are a lot of beautiful homes out here, but a lot of them start to look a lot alike. We were looking for something unique that inspired us. We were 0 for 20 on the day we went out with our realtor, and we went to dinner with him and his wife at Nick & Toni’s. She said, “Why don’t you take them to that house in the woods?” He said, “Well, it’s out of their budget,” but he took us the next morning. My husband, Max, and I put in an offer that day. It was a soft market due to the economy back in ’08, so we could stretch for it. It’s going to be our family home forever. How do you split your time out east with your time in the city? I really try and balance being a Hamptons mom and a working woman, and I kind of fail at both [laughs]. Usually, I leave for East Hampton on Thursday night and come back Tuesday morning. In August, I put the kids in camp to give them a routine, and my husband, our lovely nanny, and I switch off so they have a grounded home while we ensure that our work gets done. It’s not the smoothest thing, but we’re making it work. How did you come up with Hatch? When I met Max and got engaged, the bridesmaid-dress market was pretty empty. 27 Dresses had just come out, and I decided that I was going to make my bridesmaid dresses. My first foray into entrepreneurship was creating the Twobirds bridesmaid dress: one dress that wraps 15 different ways and is one-size-fits-all. We went to Jamaica, got married, the reaction down the aisle was amazing, and when I got back, I quit my job and started the company. One of my clients was a publicist for The Martha Stewart Show. So I got on the show, and the rest is history. As soon as that show aired, the phone was ringing off the hook. 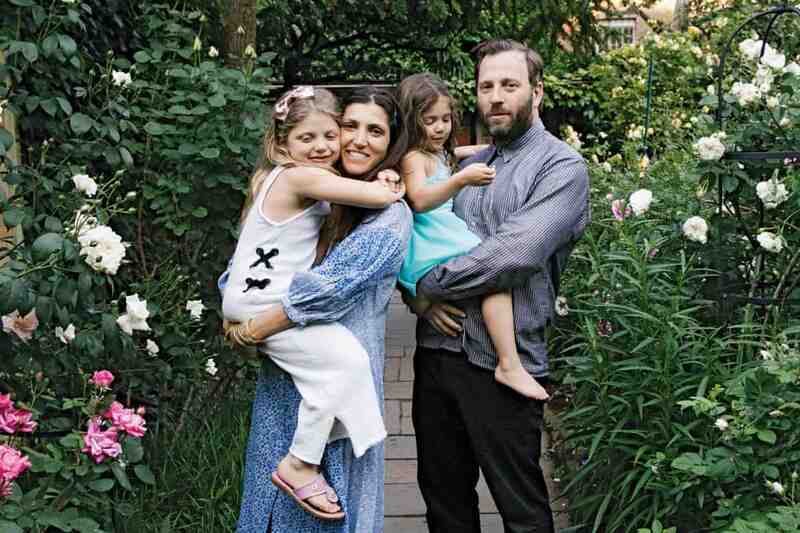 When I got pregnant with my first daughter, Charlie, I was excited, scared, nervous, confused. I wanted to celebrate, and I wanted to spend money on clothes that made me feel great, but I couldn’t find a [maternity] brand that was talking to me. After Charlie was born, I was more inspired than ever. I looked at her and thought, “I have an idea, and I’m going to make you really proud.” I started Hatch when she was about six months old. I built the website and started with 12 key pieces. The point of difference here is that the pieces can be worn before, during, and after [pregnancy]. They aren’t disposable. We’re up 98 percent this year. We opened our first store in New York in October. We’re opening our second store at the Brentwood Country Mart in L.A. this fall, and we’re selling clothes, but we’re also inviting educators, doulas, lactation experts, and more to host seminars in our store. Hatch is becoming a community brand that’s uniting women in one place. I also launched Hatch Mama beauty back in January. It’s a nontoxic line of beauty products — lotions and potions — that women need during this time. How are you wearing Hatch at the beach? My community out here is no-fuss. I go to social events, but mostly very mellow stuff like barbeques. Hatch has lots of beautiful pieces that make you feel great, so I usually wear baggy pants with a T-shirt, a flowy dress… something super-easy and not too precious!